I spotted FATBOY at Maison Objet in Paris. Fatboy is an imaginative lifestyle brand that brings energizing comfort to the outdoors. 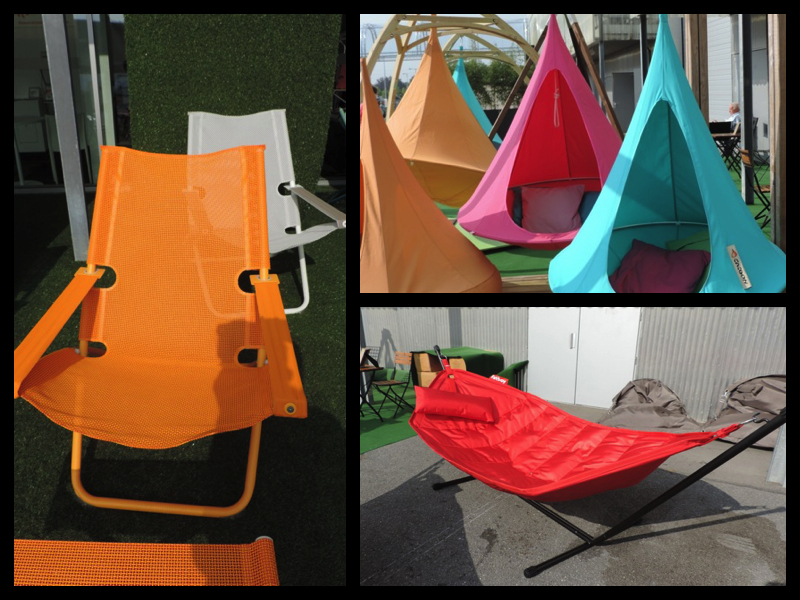 With their newest collection that uses color and is design friendly, these original outdoor products are just what I needed to ‘chill’ for a while at Maison. Talk about cozy comfort in style! This entry was posted in Blogs, Bold Color, Bright Color, Color, Color Trend, Design, Design Works International, Fun, Furniture, HGTV, HGTVHome, Home, Maison & Objet, Nancy Fire, outdoor, Paris, Product Design, Retail, Trade show, Trend Blogs, Trend prediction, Trending, Trends, Uncategorized and tagged Bold Color, bold design, chair, Color, FatBoy, Fun, Fusion, hammock, HGTV, HGTVHome, Maison & Objet, outdoor furniture, Paris, Paris Design Week, Product Design, Retail, Style, Trend prediction, Trending, Trends by Design Works International. Bookmark the permalink.